Have you heard? 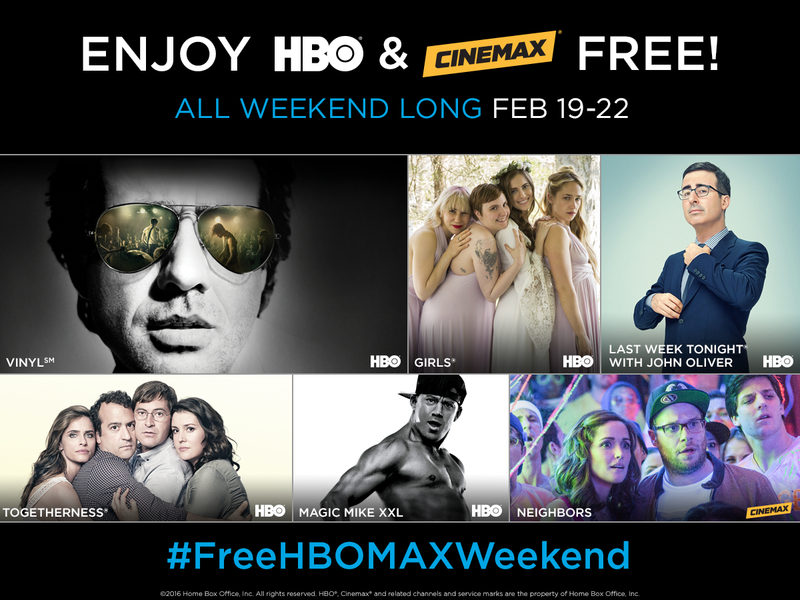 HBO and Cinemax are FREE all weekend long beginning Friday, February 19 through Monday, February 22. New series Vinyl plus new seasons of Girls and Togetherness premier Sunday 9pm on HBO. Tune in to FusionTV: HBO Channels 316-320 and 716 in HD, Cinemax Channels 323-330 and 723 in HD. Click here for more details on adding HBO & Cinemax to your channel line-up!